I love hiking in the mountains with my dogs. We all know a tired dog is a happy dog, right? If you don’t regularly hike with your dog, though, here are a few things to do before heading outdoors, whether for a 30-minute walk or a multi-hour hike. Build up your dog’s endurance before taking her on a hike. Photography by Eudyptula/Thinkstock. Dogs (or humans) who have been lounging around on the couch will need to build endurance for those longer adventures. If your walks are typically short, start working up to longer walks or jogs, depending on your endurance goals. On warm days, try to walk in the morning or later in the evening when the air and the pavement has cooled. If you have a bigger dog, consider getting her a doggie backpack to help lighten your collective load. Make sure that the loaded backpack isn’t heavier than 15 to 20 percent of your dog’s body weight and adjust the pack so it is up near your dog’s shoulders, not down on the hips. Also, have your dog wear the backpack during regular walks first before heading out on the trails. My dog’s backpack carries a first aid kit, dog waste bags, water, water bowl, food and food bowl. Sometimes the water is too heavy, so I end up carrying that, but my dog carries the rest of her stuff. Quite often, hiking means your dog gets to run free and off-leash, but with that reward comes responsibility for both the pet parent and the dog! Even if your dog is staying on leash, good manners are still very important so that everyone (including you!) can enjoy the trail. For those off-leash dogs, consistent recall is one of the most important behaviors you can teach your dog. This is great if there is another person or another animal around, or just to keep your dog within eyesight. It might take a while, and you should gradually build up to more distracting environments, so start practicing now! And remember to always keep training positive and fun for your dog. You also have to consider that while your dog might be friendly, other dogs (and people) may not be as friendly, so it is good trail etiquette to have control of your dog and have him sitting or walking next to you when other hikers walk by. If your dog is interested in saying hi, ask the other person if it is okay for your dog to approach. Wendy Newell’s Dogster article “6 Tips for Sharing a Trail with Hikers and Their Dogs” has some additional suggestions as well. Many of the points already mentioned will help keep you and your dog safe, but it is also important to make sure that your dog is up to date on vaccinations as well as heartworm, flea and tick prevention. You may want to carry a copy of your dog’s vaccination record if there isn’t a rabies tag on his collar. If your dog has very light skin or thin fur, you also may want to consider sunscreen made just for dogs. And keep your dogs’ nails trimmed. If her nails are too long, it can cause foot problems or blisters on those longer hikes. If your dog hates having her nails trimmed, gradually get her used to it. Finally, keep an eye on your dog for heatstroke. Many dogs will just keep going until they drop, so it’s important to know what to look for and what to do if your dog gets overheated. To prevent heatstroke, make sure your dog has plenty of water, take breaks if she needs to, and try to find shade along the trail. Now that you are prepared, where can you take your dog? National parks have very strict rules and many either do not allow dogs or the dogs are not allowed on the trails, so those are generally not a good option. Many state parks allow dogs, as long as they stay on a six-foot leash, which is nice for those who don’t have the friendliest pups or those who are still in training. 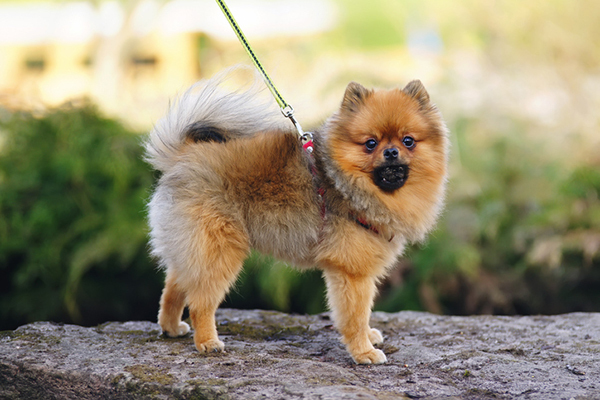 Most areas have the information posted or available online, so just make sure you check out leash laws and dog policies before you head out so that you aren’t disappointed. DogFriendly.com, BringFido.com and Nature Dogs are great resources to find places you can take your dog on a hike. Best Hikes with Dogs is an excellent series of books that covers hiking all over the United States. Each book has information about difficulty, distance, leash laws and the popularity of the trails. Thumbnail: Photography ©Raquel Pedrosa Perez | Thinkstock. Tell us: Do you hike with your dog? What are your tips and tricks? Where do you hike with your dog? About the author: Abbie Mood lives in Colorado with her dogs Daisy, Sadie, and Buster, and can usually be found outside with one of them. She is a freelance writer who loves to explore environmental and animal rights issues, food culture, and the human experience through her writing. You can find out more about her at abbiemood.com or her blog, lifediscoveryproject.com. Follow Abbie on Twitter @abbiemood or Instagram @abbiemood. The post 5 Ways to Prepare for a Hike With Your Dog appeared first on Dogster.